Artist?‍? uses Sunlight☀️ to Create Masterpieces! 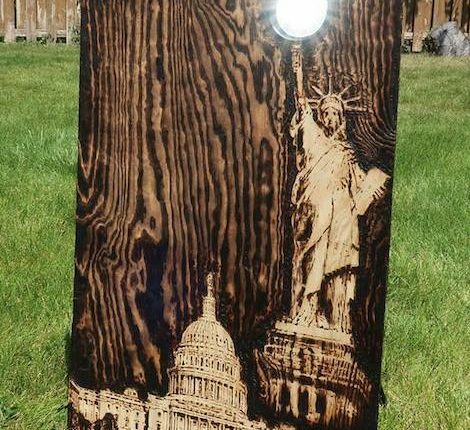 Michael Papadakis, otherwise known as @Sunscribes, is an artist and filmmaker, who creates the most insane pieces of art using a technique called ‘heliography.’ So far, Papadakis has created pieces of the Statue of Liberty, portraits of dogs and the picturesque New York City Skyline. 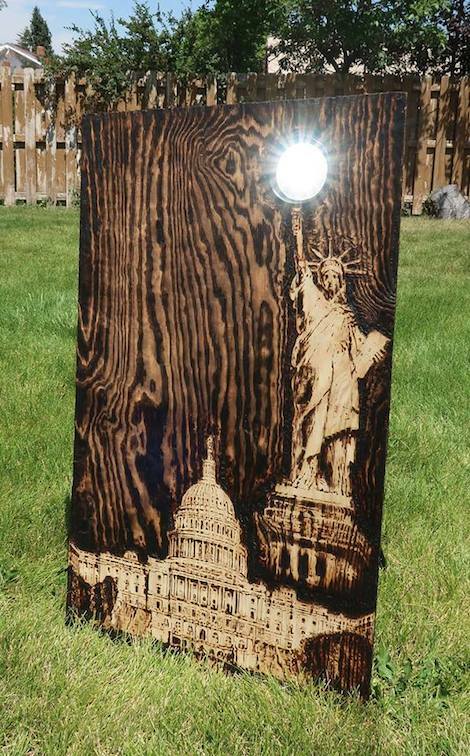 The craziest part about this, is that the art is made using just a piece of wood and sunlight. No paint or intricate process involved, just the bare necessities that nature has gifted us. But how does he create art from basically nothing? Well, it’s a pretty simple process. Michael begins by taking a blank slate of wood, sets up his work space outside with ample sunlight, and uses a trusty magnifying glass to do all the work. The reflection from the sunlight on the glass, creates fire, which burns the patterns and shapes into the wood. Next thing you know, you’re a viral artist with the most fascinating art pieces in the world. People all over social media are completely mind blown over this artist, and how he has taken creativity to the next level. It takes a lot of hard work to be a great artist, but it takes so much more to have the patience and knowledge to come up with a process as fascinating as this. It’s so amazing what people can create if they put their mind to it.. Although he hasn’t got thousands of followers just yet, his work has brought so many people together, as whenever he’s out in his public workspace, people stop and take videos of the artist at work and they’re usually in awe at what is happening right in front of them. We have to admit, we’re so completed fascinated by the videos alone. Papadakis’ artwork is unlike anything else, and we hope that his following begins to grow, so that others can share the fascinating work that he is doing. Do you think Papadakis’ work is mind blowing? Do you reckon he has created a new form of art? Let us know in the comments, or on Twitter at @WhatsTrending.